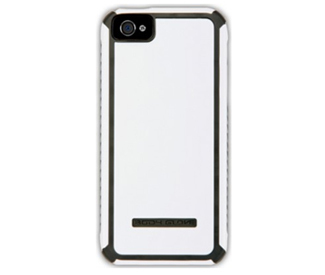 The Body Glove Tactic Case (White/Grey) is a stylish overmolded phone cover that slides around easily to protect your Apple iPhone 5. The co-molded materials of plastic and soft rubber unite to create a hard case with a soft touch. The rubber sides make for easier handling, in a unique color combinations.